As of last week, I'm officially Viva Radio's newest contributing DJ. My program, "Dead Disco," which airs every Friday at noon, is off to a great start, in my humble opinion. If you missed the first show, you can catch up by checking out my archives. Otherwise, be sure to tune in tomorrow at 12 PM for my next batch of all things dance music, from early disco jams to 80s techno, club-ready pop to deep house cuts. 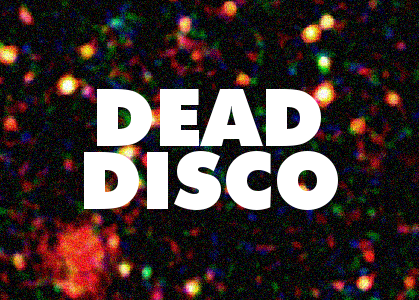 Modern music trends exist cyclically (no one reinvents the wheel―they just rejigger, reframe, remix, retouch, and reimagine what's already there); "Dead Disco" aims to tie the new to the old and the old to the new. Buy the thing over at DFA's Web store. Congrats! Thanks for your hard work, I love your blog. nice song, never heard of them before. great music on the site, thanks for sharing.